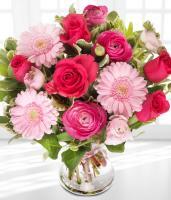 Send Flowers to Hong Kong! 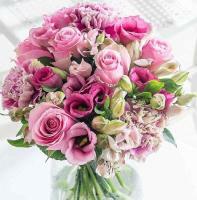 Overseas flower delivery is an online florist that sends flowers to Hong Kong. 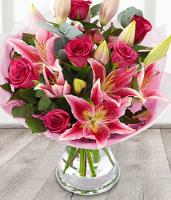 Hong Kong florist offers flower delivery for any occasion including: Wedding, Valentine, funeral, sympathy, Christmas, Mothers Day and any other flower need you might have. 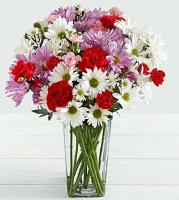 Whether you are looking for a personal way to express your affection for loved ones away from you, or make that first impression which will make that special someone smile in years to come, Hong Kong Florist can provide just the right bouquet to get your message across. 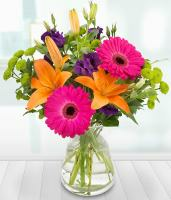 We believe that sending flowers in Hong Kong should be a pleasure. 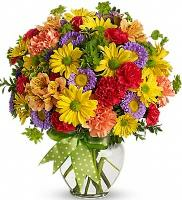 Our florists in Hong Kong use only the very best florists in Hong Kong who hand deliver fresh flowers only next-day flower delivery service to create the most pleasant and smooth experience for you. 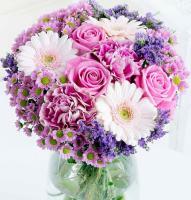 Hong Kong Florist ensure that sending flowers arrive on time and in exceptional form every time. 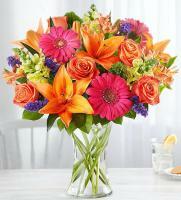 We believe that top quality flowers should only be expected as norm. 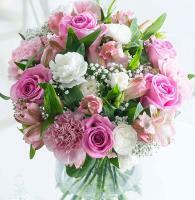 Come on be the person that makes Hong Kong people happy and send flowers to Hong Kong!! 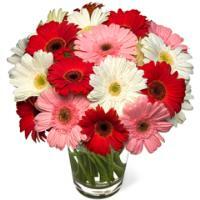 Christmas Flower Delivery in Hong Kong - Christmas flowers are an important part of Christmas gifts. 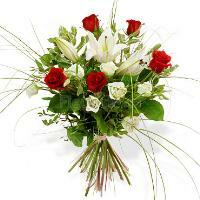 Every year, people buy Christmas flowers during this festive season, to send their greetings overseas. 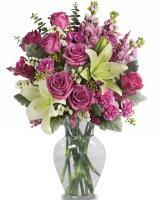 Christmas flowers such as rose, lily, daisy, poinsettia and other Christmas flowers are sold extensively on our online flower shop. 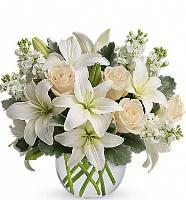 Such importance is given to Christmas flowers, because they symbolize love, peace and prosperity. Valentines Day Flower Delivery in Hong Kong - The Hong Kong florists deliver beautiful locally grown and imported roses from nearby localities. 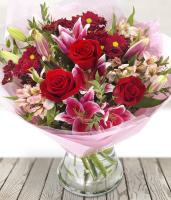 Please make your flower order early as the last guarantee date is 2 days before, due to the large amount of Valentine Flower orders in Hong Kong. Send Valentine red roses on 14th February! 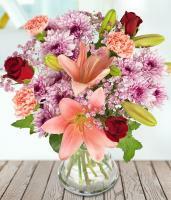 Mothers Day Flower Delivery in Hong Kong - Mother's Day flowers are the purest declaration of your love for you mum. 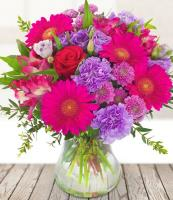 Show your gratitude and love this May - with a splendid bouquet of Mothers Day flowers for Mother's Day. 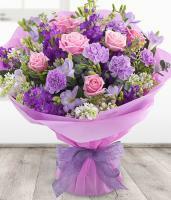 The second Sunday in May is a very busy day for our florists in Hong Kong, so be sure to order your Mothers Day flowers early for the best selection and delivery on time. 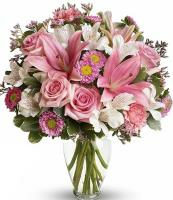 Our member florists in Hong Kong always create the loveliest bouquets; so your Mother's Day flower delivery will arrive on time, and just as you ordered. 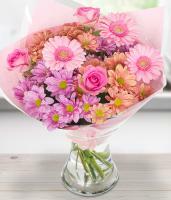 Last Guarantee Date for flower delivery in Hong Kong for Christmas, Mothers Day, Easter and Valentines Day is 2 days before. 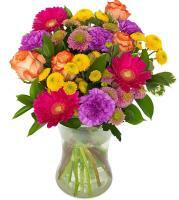 Delivery to Hong Kong Island and Kowloon Pennisula Only. Tai Po, Sheung Shui, Yuen Long, Sham Tseng, Tuen Mun, Fanling, Tung Chung, Chek Lap Kok Airport, Lamma, Island, Cheung Chau, Peng Chau, Tai O, Discovery Bay, Mui Wo.